Home » Clothing and Accessories » Glittersweet Bags Review! 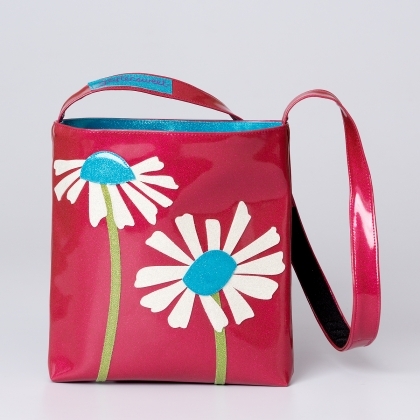 This post is an introduction to the maker and creator of absolutely FABULOUS sparkly bags. I am so pleased to introduce you to my sponsor, glittersweet! I have a confession to make. I have a pretty serious addiction…..to bags. I absolutely love them. Every time I’m out shopping, I’m on the lookout for a bag that will catch my eye. I’m attracted to bags that are unique. I like to carry something that’s just a bit different from what everyone else has. 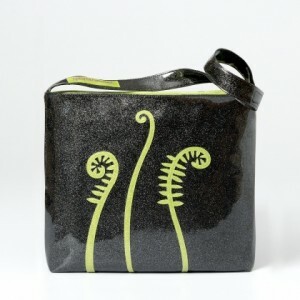 After MUCH deliberation, I selected the Fern Tote in Midnight in the “Large Tote” size. I LOVE it…..probably an unhealthy amount. The large tote has enough space to haul all of my “mom gear” (ie- diapers, sippy cups, granola bars, crayons, etc.) PLUS my ipad, wallet, brush, sanitizer, etc. It is the perfect combination of fashion and function. Everywhere I go, people comment on my bag. In the words of the visionary behind these bags, they are cute enough to take on a date, and practical enough for the grocery store, office, beach, or gym. It is to die for cute and my vintage-loving self could not be happier. Glittersweet bags are available in a whole myriad of sizes. There is a bag to fit every need and every budget. From the coin purse to the classic sling tote, there is a bag for you. With Mother’s Day right around the corner, now is the perfect time to order a bag for your mom (or request one for yourself!) I don’t care if you’re 5 or 50, every girl needs a sparkly bag. Click HERE to check out all of Laura’s incredible glittersweet bags! Three years ago Laura Silverstein fell in love with some vinyl at a yard sale and made her first bag on her grandmother’s sewing machine. 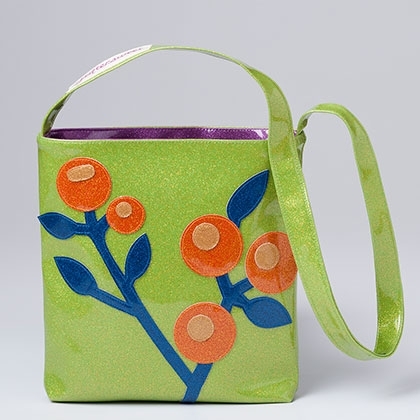 Now made in a local factory, glittersweet bags are super cute, sparkly, and practical. And they donate 5% to nonprofits supporting moms and kids! She’s local (yay for Washington! 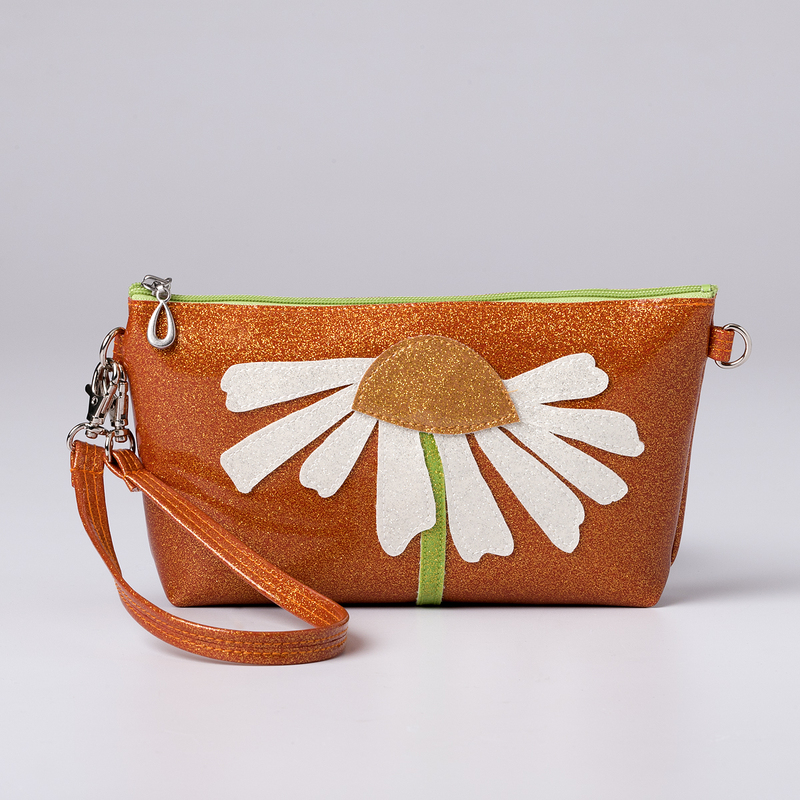 ), a mompreneur (some of my favorite people), and makes the world’s cutest bags. Let’s show her some support! 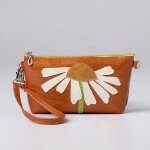 Visit www.glittersweetstudio.com and buy a bag!!! *I received a free bag in exchange for an honest review. All opinions are my own.